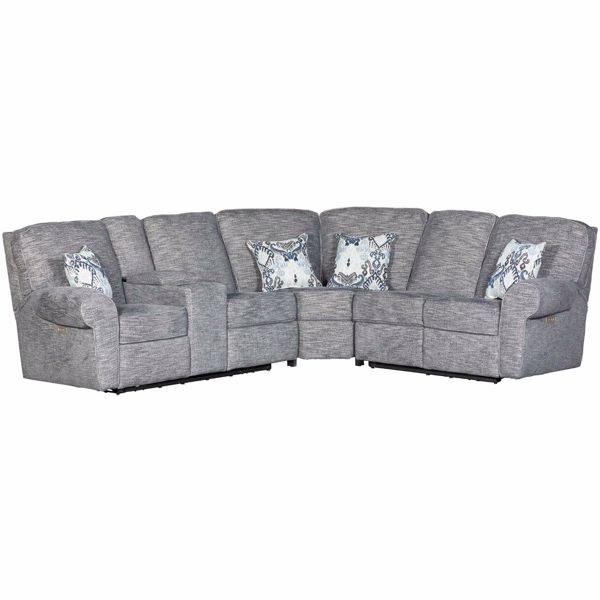 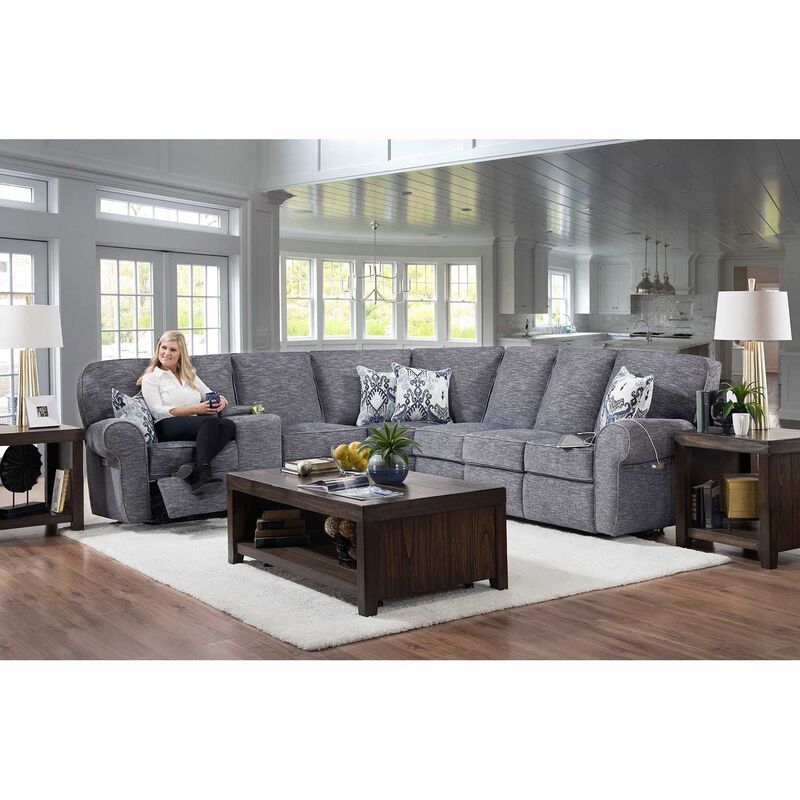 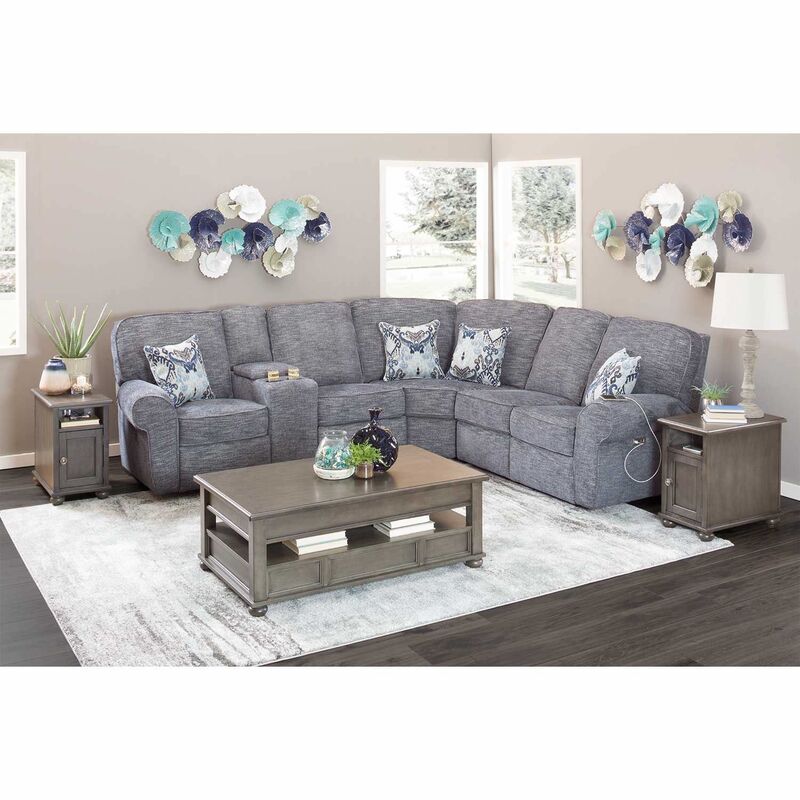 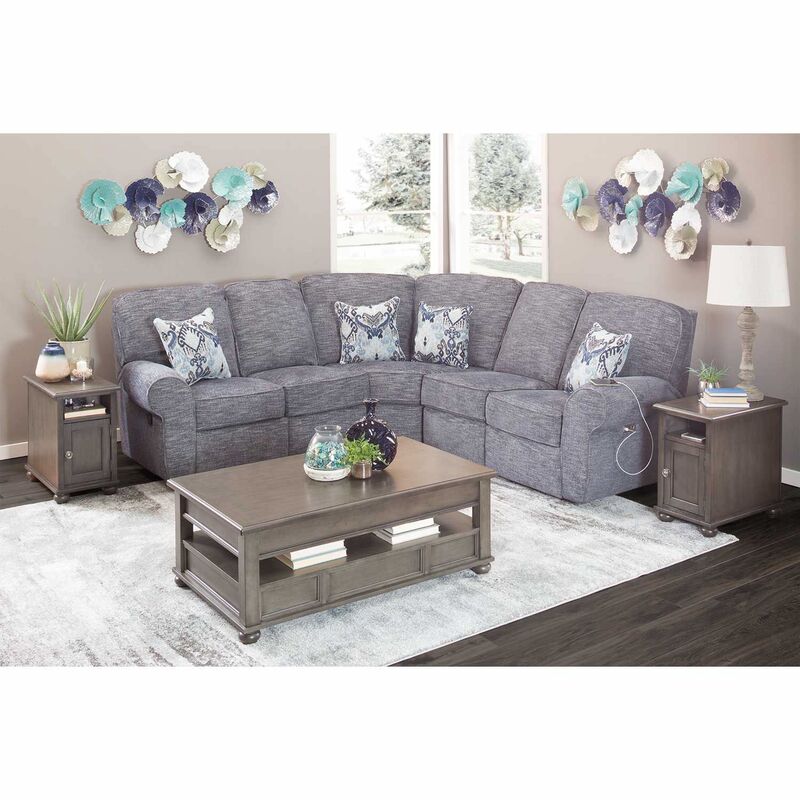 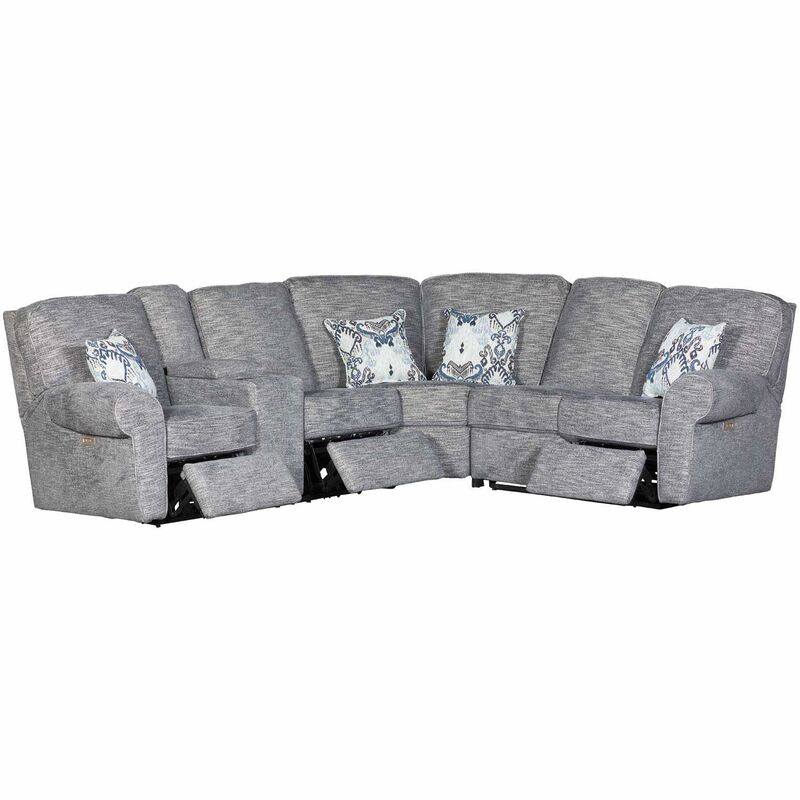 Neela 3pc Power Reclining Sectional w/ RAF Loveseat from Lane Home Furnishings. 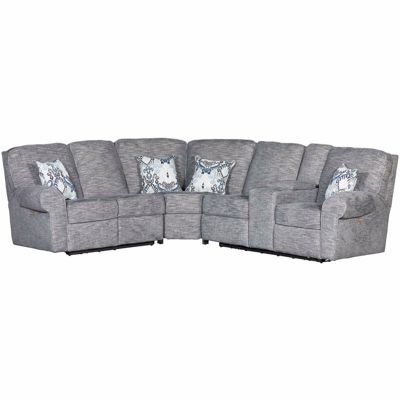 Includes RAF power reclining loveseat, wedge and LAF power reclining console loveseat. 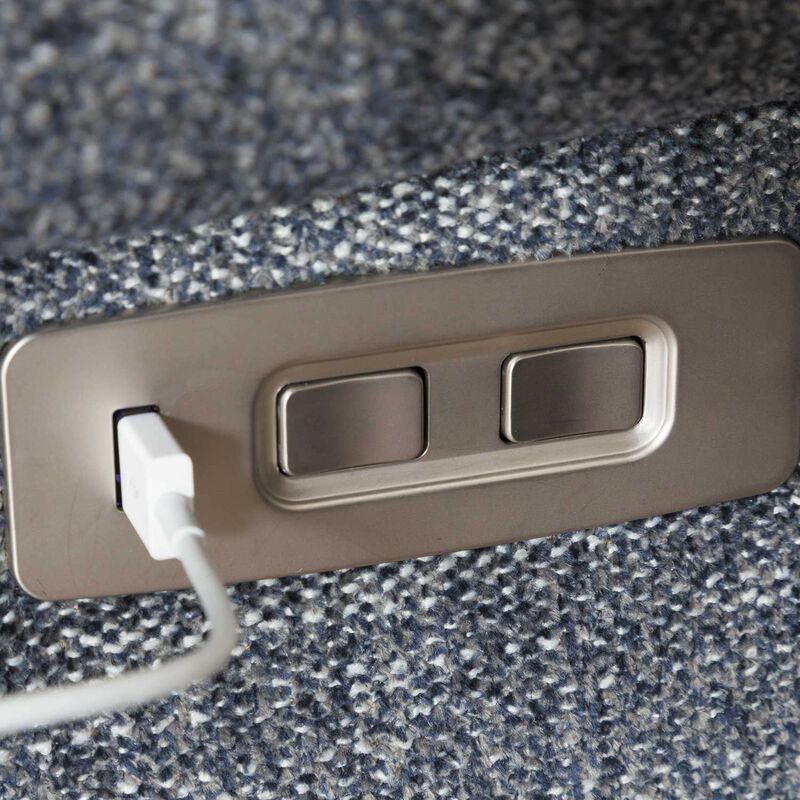 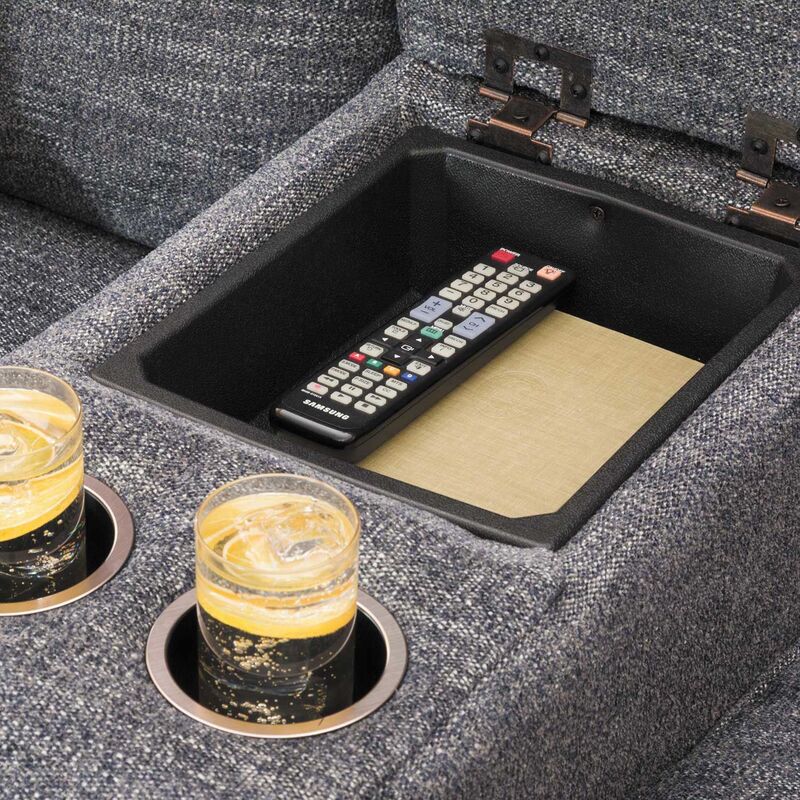 Storage console includes two cupholders and hidden storage.